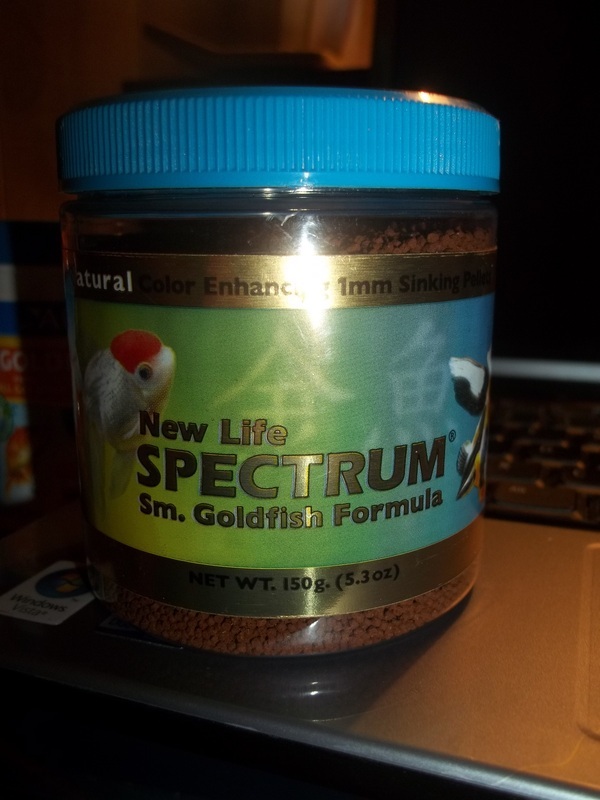 I like to use a variety of products to make sure that my fish are getting all of their essential vitamins and minerals and to make sure they get the proper protein levels they need. 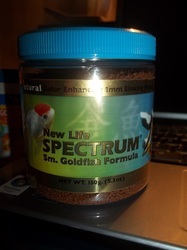 In addition to the foods below I feed brine shrimps and blood worms. 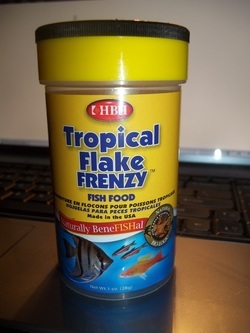 I do not like "Tetra" brand products as I find them to be the "lower quality" items of the Fish World. 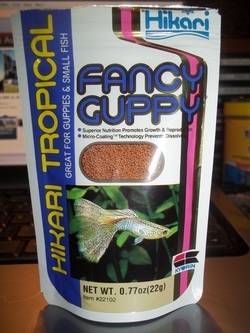 An exception is this: Jungle products--I've used and are apart of 'United Pet Group' which is 'Tetra' and also 'Aqua Tech' supplies sold by Walmart are apart of 'United Pet Group' and I find them to be of good quality. Something to know is that fish food lasts a long time, so take that into consideration when you gasp at how much it is for so little food. Ha ha. High quality ingredients and overall product. Whole Antarctic krill meal, whole herring meal, whole wheat flour, algae meal, beta carotene, spirulina, garlic, vegetable and fruit extract (spinach, red and green cabbage, pea, broccoli, red pepper, zucchini, tomato, kiwi, apricot, pear, mango, apple, papaya, peach), vitamin A Acetate, DL Alphatocophero(E). 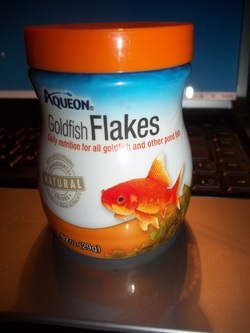 My notes: My Goldfish LOVE this food and so do I. I will be switching all of my fish to this brand. Whole fish meal (whole salmon and other mixed fishies), whole wheat flour, soybean meal, whole dried krill, wheat gluten meal, wheat germ, dried yeast, kelp meal, fish oil, spirulina. This also contains chili powder, garlic and marigold powder. 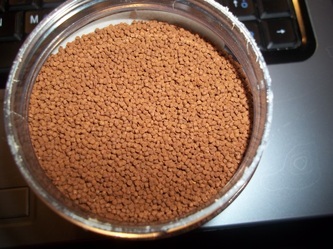 Condensed fish protein digest, pea protein, wheat starch, shrimp meal, wheat flour, fish oil, beet powder, carrot powder, beet powder, dried molasses. *This also contains- seaweed meal, honey and garlic powder along with all essential vitamins and minerals. ---One thing I will tell you is that at the bottom of the ingredients list is says it contains BHT--- BHT is not a natural preservative, it shouldn't be used in any form of food perservation for any living thing. Fish meal, wheat flour, krill meal, brewer's dried yeast, fish oil, dried seaweed meal, hydrolyzed vegetable sucrose, vegetable oil, DL-methionine, dried A niger fermentation extract. 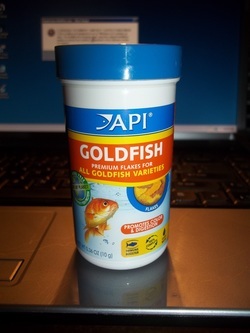 My notes: My fish went nuts for this food and cleaned it up. 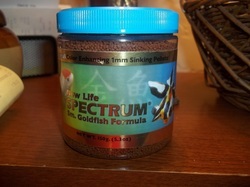 $5.99 for 1 oz at my local pet store called All About Pets--only place that carries it in my area.